When we were eating at Market One yesterday Lana ordered some coffee which was actually really good. The waiter (who was really nice by the way) came up and even remarked “isn’t the coffee here sooooo good”? Then he started talking about how he only buys his beans from Peet’s Coffee because Starbucks uses low quality beans. I must disclose I am a Starbucks fan but also really like Tully’s coffee so when I heard my beloved Starbucks getting attacked I gotta admit it kinda irked me a little. I’ve been digging around the Internet this morning and found a few rants from others but I can’t find a site that supports his claim that Starbucks uses low quality (or Robusta) beans. I know there are probably lots of you reading this who have a favorite coffee joint. 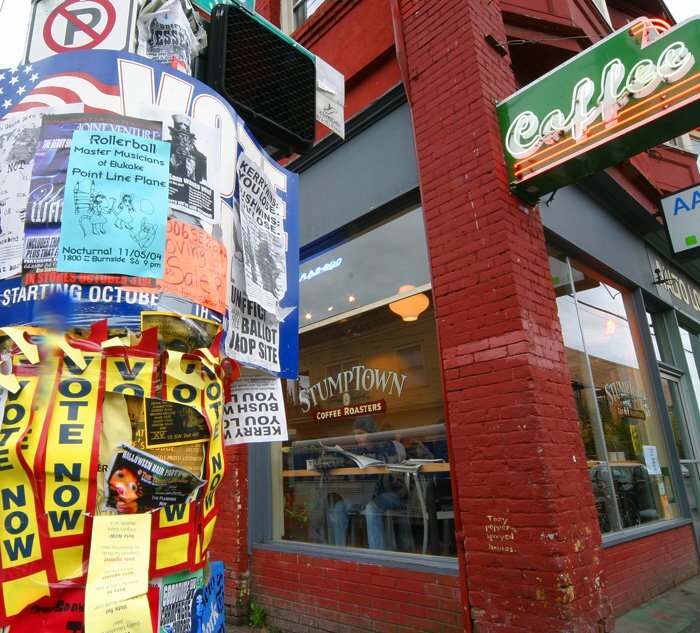 In Portland there is a place called Stumptown Coffee which is probably my all time favorite place to go for a cup of Joe. 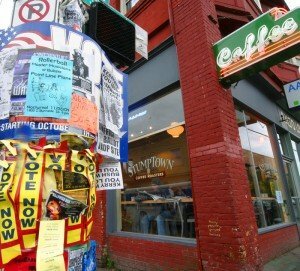 It is where all of the coffee snobs (not saying I’m probably not one of them too) go for their coffee fix in Portland. If you are ever in the area you have to go there. I have personally only been to the one downtown (picture of it above) which I liked because it is a “funky” place; oh and did I mention their coffee rocks? If you bring coffee back home with you, try the “Hair Bender”. What is your favorite and why?